They first aided humans in the smelting of copper, tin and iron. A ceramic crucible is simply a crucible made from a ceramic material, like kiln-fired clay. Chemically and physically stable at high temperatures, or refractory, ceramic crucibles are used for working with materials that can only be manipulated at very high temperatures, such as metals, pigments and glasses. Ceramics are nonmetallic, crystalline, inorganic or amorphous solids that have themselves been fired, cooled and glazed. Their surfaces are smooth and relatively inert. This inertness is crucial to the crucible, as a reactive surface would likely, at a high enough temperature, cause the materials within the crucible to mix with the crucible’s own materials. Though it is established that a ceramic almost certainly must be made of ceramic material, a customer must still make a decision about what kind of ceramic material he or she will select. 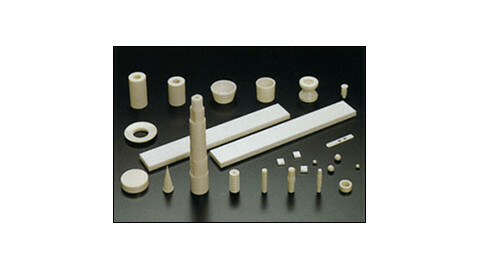 Ceramic crucibles can be made from a variety of base materials, such as silica, zircon, spinel, alumina and magnesite, and the desired chemical composition truly depends upon the crucible’s intended application. Each chemical composition reacts differently to heat and pressure. Alumina crucibles, for example, enjoy a rather widespread usage because they withstand a wide variety of temperature environments and because they are relatively inexpensive. Ceramic crucibles are commonly used in manufacturing, particularly in the areas of metallurgy, analysis and quality control. They also serve as common tools in such research fields as earth science, material science and engineering. Additionally, ceramic crucibles are common, of course, in the arts, particularly with metalwork, pigment work and clay. Other characteristics that a customer should consider include total capacity, overall shape, wall thickness and bottom thickness. 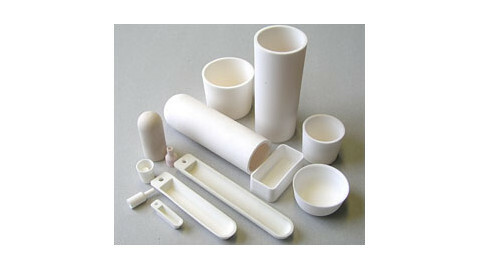 Though in their early days they were frequently irregularly shaped, inconsistently thick and not terribly refractory, modern ceramic crucibles have evolved to have the ability to be used at incredibly high temperatures and pressures, and can be manufactured to nearly limitless custom specifications. Ceramic Crucibles Generally speaking, a crucible is a vessel or dish that is used to hold a sample inside a high temperature furnace. Ceramic crucibles have enjoyed a long history, having been used as a metalworking tool since around 5000 BC.